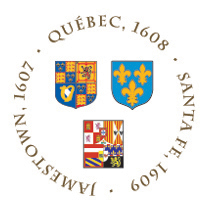 This exhibition explores the international origins of the societies of Canada and the United States and commemorates the 400th anniversary of three lasting settlements in Jamestown (1607), Québec (1608), and Santa Fe (1609). The exhibition takes a multicultural approach to the virtually simultaneous introduction of English, French, and Spanish culture to this vast area and tells the stories of Native and European societies through 1700. Fifty lenders provided 150 rare surviving European and Native artifacts of this early period, which illuminate the complexity of European colonization and interaction with the indigenous populations. The exhibition was developed through a partnership between the Virginia Historical Society and the Smithsonian's National Museum of American History with collaboration and assistance from the Canadian Museum of Civilization, the Palace of the Governors in New Mexico, and a number of other cultural institutions.